Exciting times in KC world! We are officially celebrating Know Cancer’s 1st Birthday!!! It’s hard to believe that an entire year has passed since the KC concept was hatched…and what an incredibly rewarding year it has been. On behalf of the Know Cancer team we thank all of you so much for your support. First of all, we would be nowhere without our incredible team (employees/interns/volunteers)…YOU have been the backbone of Know Cancer!! Thank you all for working tirelessly and making KC your own, most of you with little to no pay. We love you dearly! Each of you brings something very unique and special to the world that will continue to touch the lives of so many who need it. To all of our sponsors, thank you for standing beside us in this fight. We could not do it without your support! Big thanks to all of the brilliant health care professionals who have offered time and expertise in order to make our community great! You have been the teachers in our classroom. Your gifts of knowledge will be the seeds that one day sprout a cure. Finally, the HUGEST SHOUTOUT to all of the patients, survivors, caregivers and supporters—you are the hands that carry the Know Cancer torch! Today, you have already passed it across 159 countries, reaching over 100,000 people in just 6 short months (from the birth of the KC Community)! YOU are the reason Know Cancer exists. WE LOVE YOU ALL!!! Thinking back on the 1st year of Know Cancer’s life, there were so many great moments it’s hard to know where to start. • The Know Cancer “Community Awareness Fair,” held in downtown Orlando on February 22nd 2009. We had 32 organizations and businesses out helping to heighten cancer awareness in Orlando. Throughout the day several thousand attendees showed up to participate in therapies ranging from massage and auricular therapy, to chiropractic adjustments and art therapy. Not to mention all of the great food, games, raffles and live music that brought the event full circle. When all was said and done, we raised several thousand dollars for the Florida Hospital Cancer Institute in order to help fund cancer research. What a success!! • Know Cancer on Twitter has made quite a raucous so far. Thanks to our wonderful supporters and hard working team. We are extremely proud to have achieved this type of active following with limited resources (in comparison to aforementioned organizations). People are relying on us every day by the thousands to keep them informed and inspired. Also, in April of 09’ Know Cancer was published in the local Orlando News Paper for having one of the top Twitter followings in Florida. Go KC Tweeters!!! • Know Cancer has recently partnered with Possibility Pictures on their movie Letters to God (more to come on this). This is a story about a young boy fighting cancer that finds strength and hope through writing letters to God and in doing so changes the lives of those around him. The movie was created by the team who made Fireproof, which was the highest grossing independent film of 2008. Possibility Pictures is not just focused on making movies, they are creating movements. 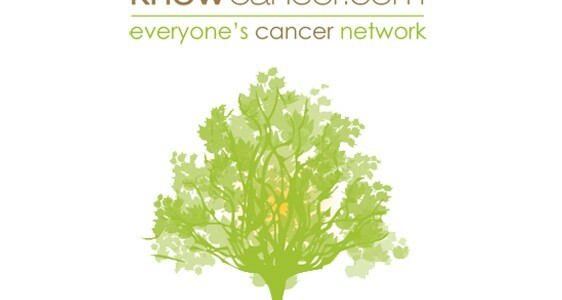 Know Cancer will be the Official Online Cancer Community and Resource for the movie Letters to God. Stay tuned to hear more about the movie. Looking back, it was just a few years ago that I was in the bone marrow unit hoping I would make it out…and now being here with all of you, blows my mind! Let’s keep moving forward together, helping each other get better and telling our stories forever.